Configurable to 2.5GHz quad-core Intel Core i7 (Turbo Boost up to 3.7GHz) with 6MB shared L3 cache or 2.8GHz quad-core Intel Core i7 (Turbo Boost up to 4.0GHz) with 6MB shared L3 cache. Configurable to 2.8GHz quad-core Intel Core i7 (Turbo Boost up to 4.0GHz) with 6MB shared L3 cache. macOS is the operating system that powers everything you do on a Mac. macOS High Sierra brings new forward-looking technologies and enhanced features to your Mac. It's macOS at its highest level yet. Letting go of your old Mac is easy with Apple GiveBack. If it’s in good shape, you can trade it in for Apple Store credit. If it’s not eligible for credit, we’ll recycle it responsibly at no cost to you. Good for you. Good for the planet. L W A,m is the mean A-weighted sound power level, rounded to the nearest 0.05 B.
L p A,m is the mean A-weighted sound pressure level measured at the operator position (rounded to the nearest 0.5 dB). K v is the statistical adder for computing upper-limit of A-weighted sound power level. The quantity, L W A,c (formerly called L W Ad) may be computed from the sum of L W A,m and K v .
The Wireless web test browses 25 popular websites. Configuration tested: 2.5GHz quad-core Intel Core i7 processor, 16GB memory, 512GB storage, Intel Iris Pro, AMD Radeon R9 M370X. 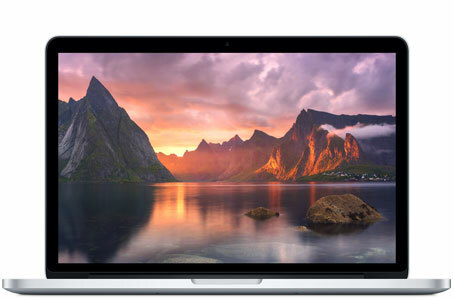 Testing conducted by Apple in April 2015 using preproduction 2.2GHz quad-core Intel Core i7–based 15-inch MacBook Pro systems with 256GB of flash storage and 16GB of RAM. The wireless web test measures battery life by wirelessly browsing 25 popular websites with display brightness set to 12 clicks from bottom or 75%. The HD movie playback test measures battery life by playing back HD 1080p content with display brightness set to 12 clicks from bottom or 75%. The standby test measures battery life by allowing a system, connected to a wireless network and signed in to an iCloud account, to enter standby mode with Safari and Mail applications launched and all system settings left at default. Battery life varies by use and configuration. See www.apple.com/batteries for more information.